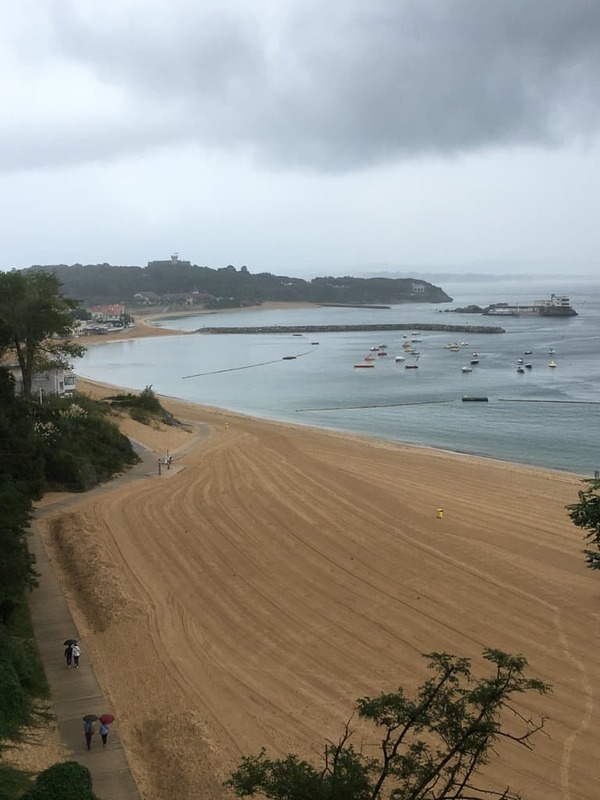 When one of my childhood friends invited me to his wedding in Santander, Spain, I was surprised that it was a destination I didn’t recognize. With something like a travel blog, I tend to know what the overly popular and up-and-coming destinations are. 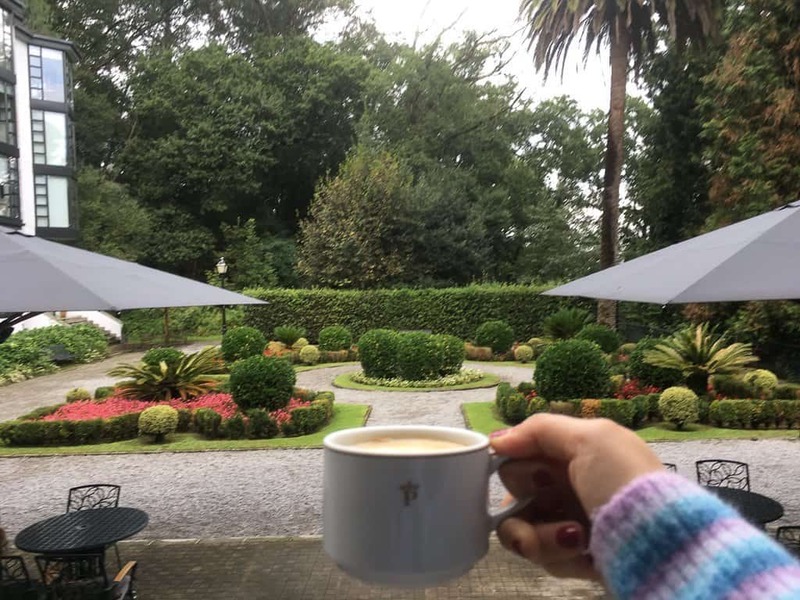 And then I avoid them because I like a hidden gem, like the Azores were when I visited in 2016. But, then I realized I didn’t know about Cantabria because it’s a true hidden gem. In fact, there are scant pages in Rick Steve’s book on Spain devoted to the region. It’s as if no one would visit Cantabria other than those hiking the Camino de Santiago pilgrimage. At this time last year, my mom and I booked our flights and had the luxury of just showing up. With a destination wedding, much of our itinerary was handled by the bride and groom. 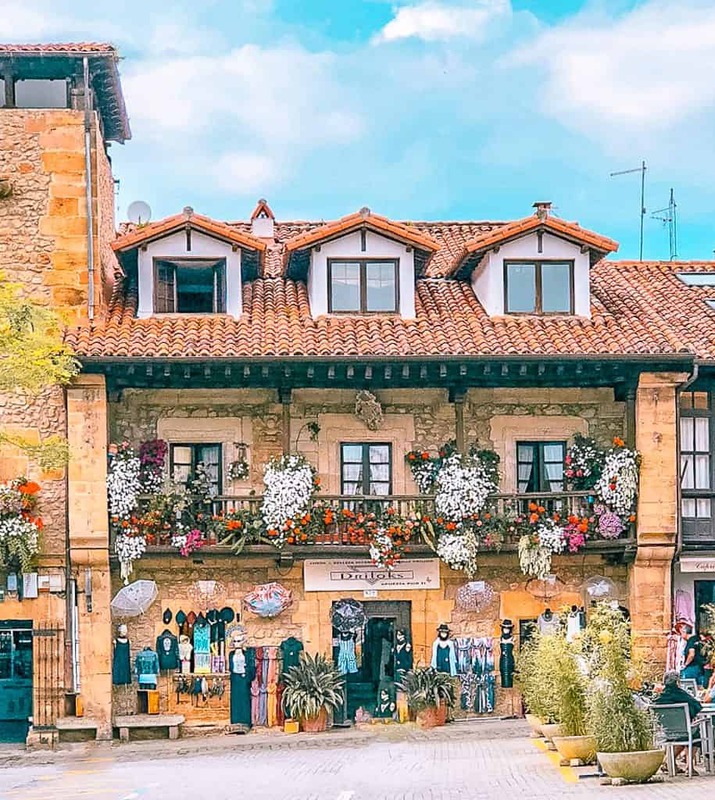 If you are considering a European getaway that truly is light on American tourists and heavy on friendly culture, visit Cantabria, Spain. Like many destinations, the months of July and August are the most crowded with families and people on holiday. A fun surprise for us was that the history and buildings of Santander share many similarities with my home of Chicago. I’ll be writing more about itineraries, where to eat, what to drink, and more in the coming weeks. Every morning should start with coffee. If it happens to be in the picturesquely manicured gardens of a palace, so be it. The perfect place to stay a couple nights or have a wedding. Potes is an incredibly historic and beautiful mountainside village. With cobblestoned streets and half-timbered roofs, it has a very Bavarian feel. 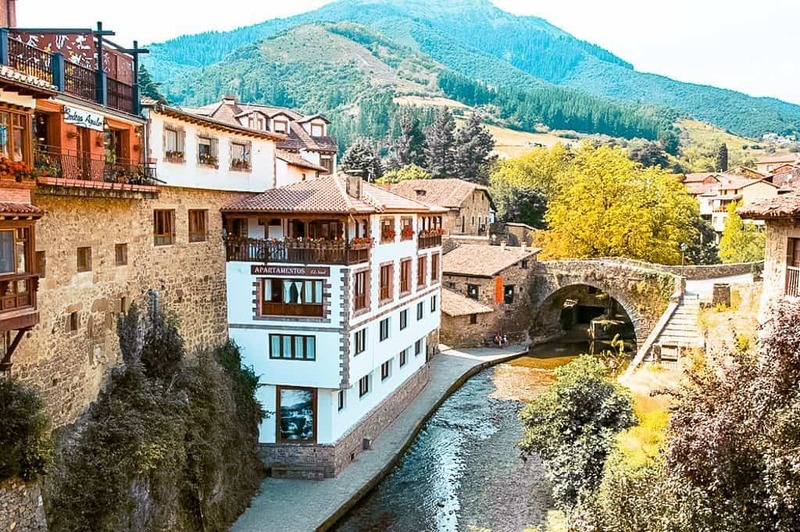 Located at the base of the Picos de Europa, it is a medieval town with incredible bridges atop a swiftly flowing river. This one is a can’t miss for anyone who will visit Cantabria. An iconic shot of central Potes. 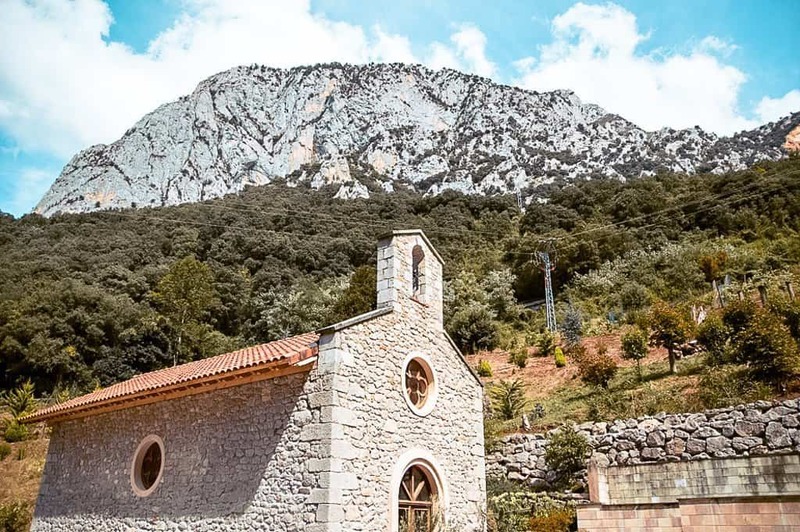 La Hermida Gorge is a lovely stop to enjoy hot springs and the beauty of the incredible peaks around you. 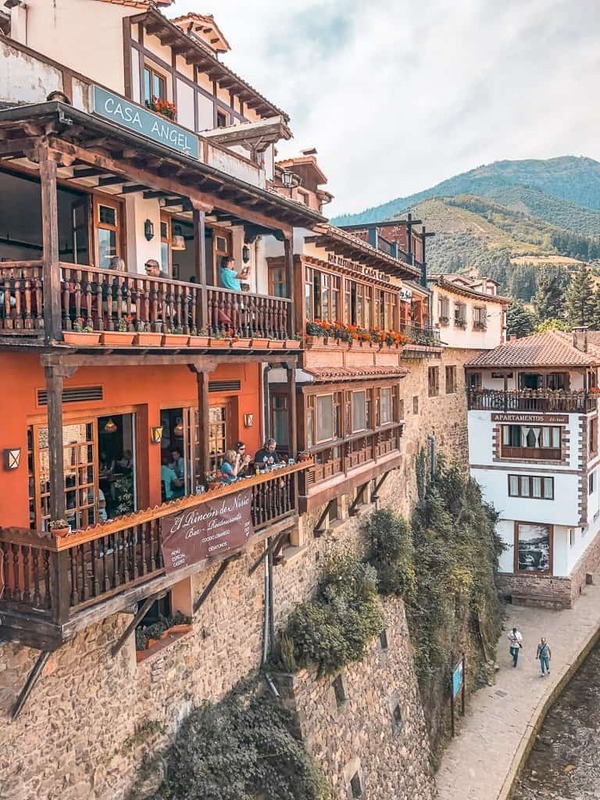 Located on the way to Potes and Fuente Dé, it’s a nice spot to stretch your legs. El Capricho is one of Gaudí’s masterpieces outside of Catalunya. When you visit Cantabria, stop at my favorite village, Comillas. While Catalan architect Antoni Gaudí is known for his architecture in his native region, his work can also be seen in the village of Comillas. 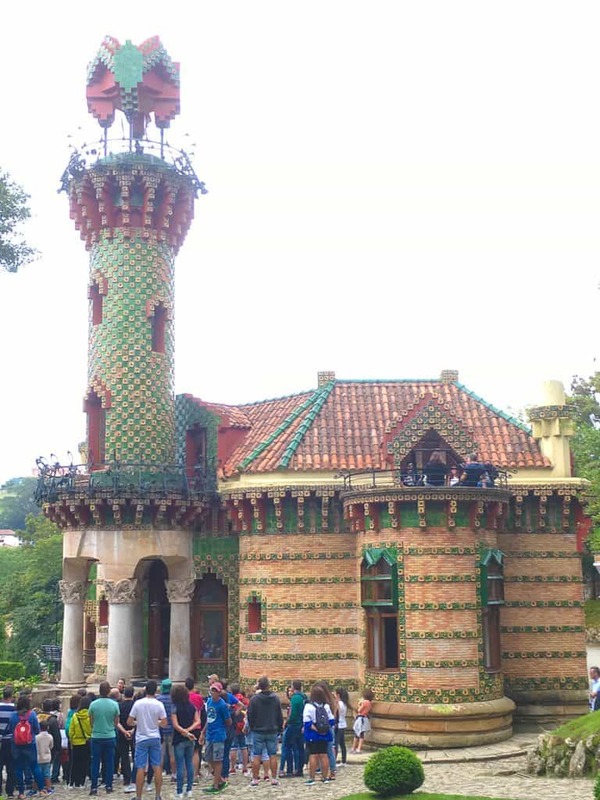 Here, one of Gaudí’s very first architectural works is El Capricho. A seaside village that was the summer destination for wealthy spaniards, El Capricho offers English, French, and Spanish language tours for €5. The picturesque main square of Comillas. Right outside the entrance to El Capricho is the darling center square of Comillas, Fuente Tres Caños. Shops by local artisans, restaurants, and cobblestone streets make it the perfect place to leisurely stroll. 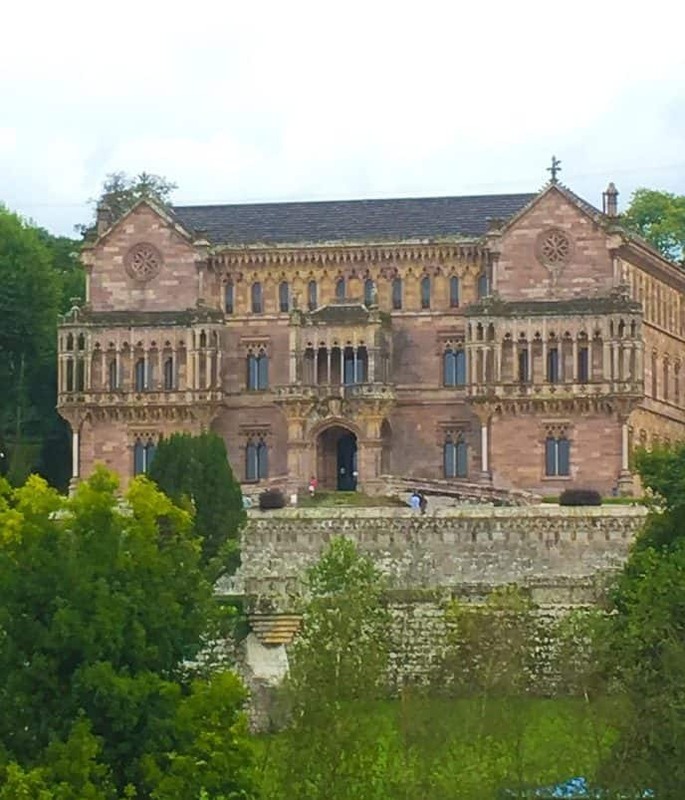 If you visit Cantabria and stop by Comillas, it’s impossible not to notice the beautiful Romanesque building on the highest hill of the village. 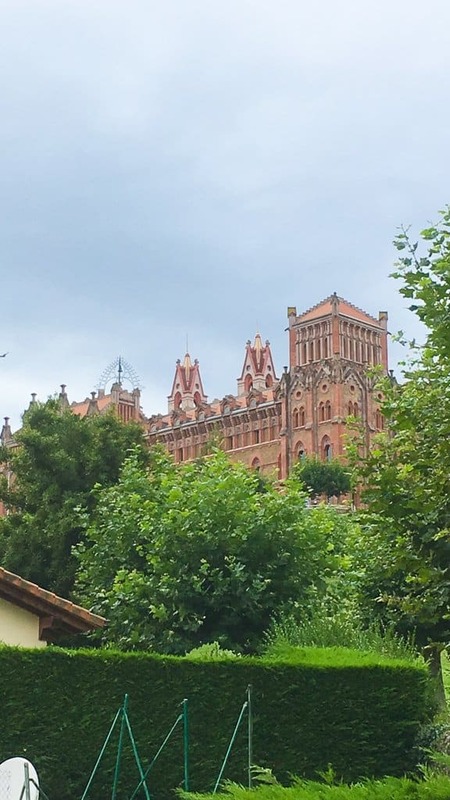 Designed by Gaudí mentor, Joan Martorell i Montells, this former Jesuit monastery was built in 1883. Now it’s a school with a foundation in Spanish and Hispanic culture. Almost directly across from the Universidad Pontifica is another Martorell structure, the Palacio de Sobrellano. A summer palace for a wealthy Spaniard, this Neo-Gothic mansion is truly breathtaking. Tours are overwhelmingly in Spanish, but for only €3, it’s nice to take a peak. Santillana del Mar is a hilly and breaktaking town, dubbed “the prettiest town in Spain,” by French existentialist Jean-Paul Sartre. Of all the quaint towns visited in Cantabria, this was the most popular, but still not overtly crowded. 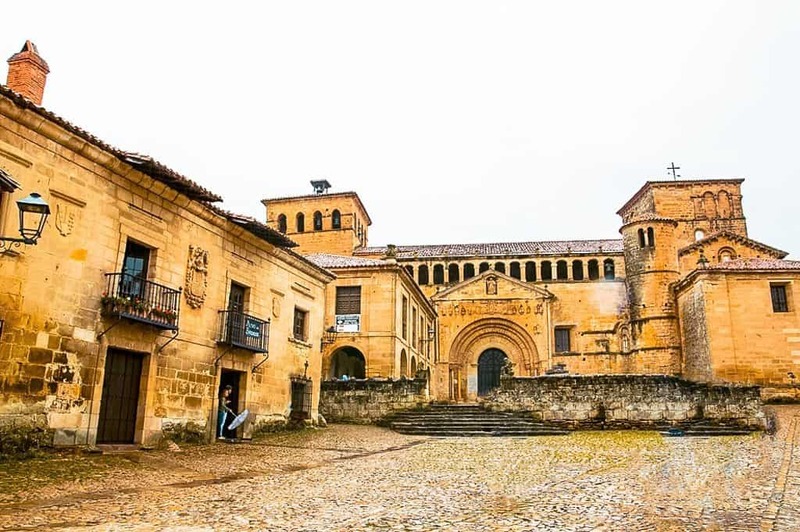 When you visit Cantabria, a visit to Santillana del Mar is worth a day’s visit. There is the torture museum, a twelfth century monastery with outdoor gardens, and quaint shops. 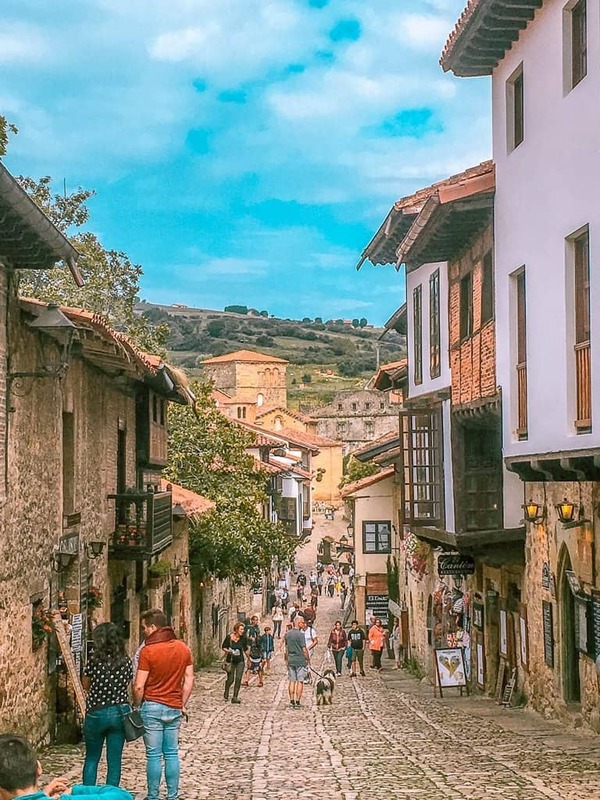 A breathtaking pedestrian road in Santillana del Mar. Santillana del Mar is known as the town of three lies. It is neither flat, seaside, nor holy, as the name would suggest. Instead, it is a delightfully pedestrian friendly and historic town to see when you visit Cantabria. Views of Santander from our room in the Hotel Bahia. Santander is the largest city you’ll see if you visit Cantabria. With a full time resident population just over 175,000, this number can swell to slightly over 200,000 with English cruise ships and tourists in the peak summer season. A small city, it is very manageable, even during the high season. 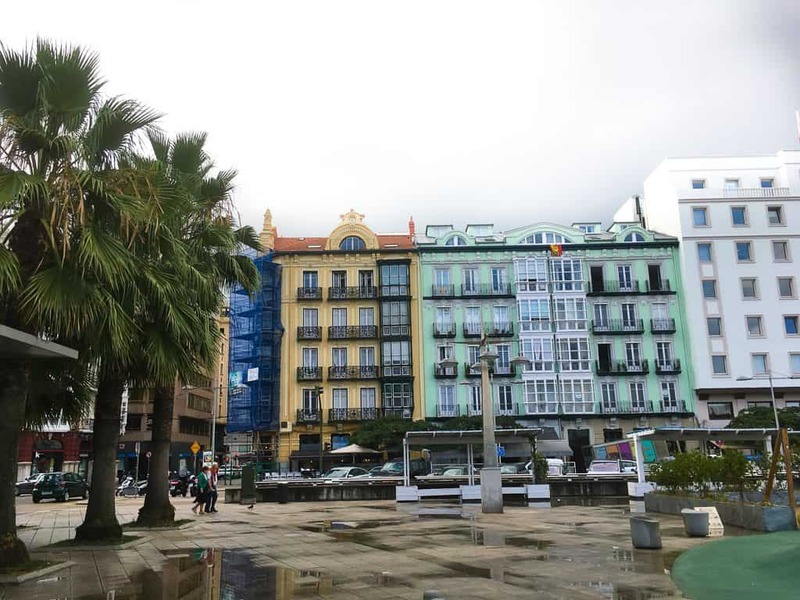 Santander is a seaside city, right on the Bay of Biscay. 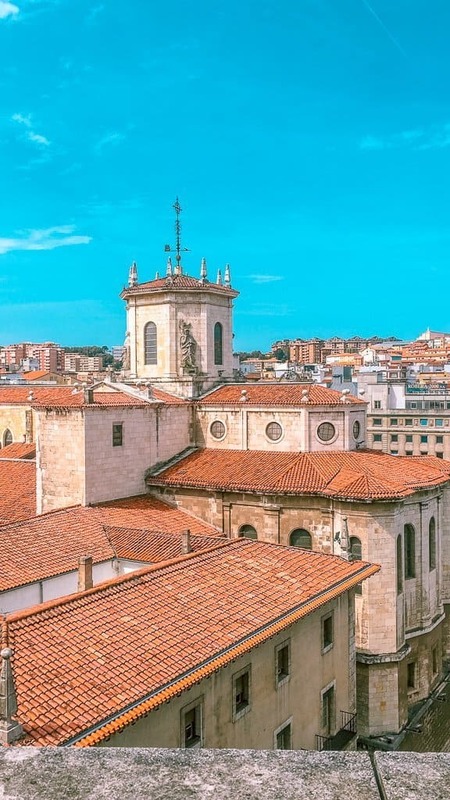 Founded in 26 B.C., this ancient port is the seat of its namesake bank, Banco Santander. A great spot for surfing, the port of Santander also regularly sends and receives Portsmouth-bound British ferries. Like Chicago, Santander suffered a devastating fire that wiped out much of the city. In 1941, with a fierce wind, the city burned for two days and decimated the city. Throughout Santander, placards designate important sites of the fire, and an app leads you on a free self-guided tour of the city. The headquarters of Santander Bank dominates the cityscape of shoreside Santander. It survived the Great Fire and is a breathtaking sight. Centro Botín is a beautiful modern art museum located right on the shore of Santander. Built by Renzo Piano, it’s glass bottom makes it appear like its hovering on the water. Renzo Piano is also the architect who built the Art Institute of Chicago’s Modern Wing, so it was nice to hear of a familiar architect. Are you convinced, or at least intrigued to visit Cantabria? Stay tuned as I’ll be posting more in the coming weeks about our great time in Cantabria and the Spanish and French Basque region.